Launched on the back of the successful American Pie movie franchise, in American Pie: Naked Run players control college students as they run the first “Annual Naked Run of America” across 15 university campuses in America without getting busted by the police. The game is easy and fast-paced, with each race lasting about 30 seconds, and players need to collect enough stars to unlock the next race. 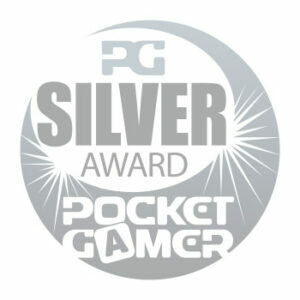 American Pie: Naked Run, entirely conceived and developed by the mobile games unit of the Digital Chocolate Barcelona studio under my management, won a Pocketgamer Silver Award. Polished, good looking cartoon racing game.